Think the USA is the most caffeine addicted country? Think again. While the USA by far has the most caffeinated products on the market, we don’t hold a candle to some caffeine addicted countries. Which country is the most addicted to caffeine? For an extensive list of caffeine consumption around the world see our article here. Even though America gets a lot of attention regarding caffeinated products, it doesn’t lead the world in consumption. The winner actually is Sweden with other Scandinavian countries not far off.. I guess if America had to endure such harsh, long winters, they would keep the coffee brewing all day as well. It’s funny because countries in Scandinavia often win awards for being the happiest people too. Correlation maybe? Many caffeine related studies are often performed on Scandinavians because of their high rate of consumption. 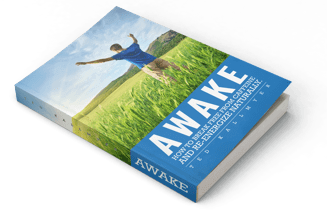 If caffeine was causing harm, it would most likely be seen in those populations first. Brazil is expected to pass the USA soon in regards to caffeine consumption and it is projected that China will be more caffeine addicted in the near future as they have the largest emerging middle class, coffee drinking population on the planet. Starbucks is betting a lot on this projection as they have big plans for thousands of new stores in China. How Does America Rank in Terms of Caffeine Addiction? With coffee shops on just about every corner in America’s cities, The Daily Beast thought they could use this piece of data to determine which cities are the most caffeine addicted. They basically figured out how many coffee shops there are per 100,000 people and combined that with how much money the average person in each city spends on coffee each month. Here’s what they came up with from most caffeinated to least. Their list consisted of the top 20 along with each city’s stats, so click on the link above to see the entire list. While this is a cool way of determining caffeine consumption, I think to be totally accurate money spent on energy drinks would also have to be considered. That piece of caffeine use data would probably be harder to piece together. Daily coffee consumption among USA consumers is actually on the decline for the third straight year according to The Daily Herald who analyzed data from The National Coffee Association’s 2015 Annual Coffee Drinking Trends report. According to the report, 59% drink a daily cup of coffee, compared to 61% in 2014 and 63% in 2013. However, overall coffee consumption is just down slightly from 79% last year to 78% this year. There has been scientific research as to the level of caffeine use among Americans and this research was recently published by The Food and Chemical Toxicology Journal. In their study they surveyed almost 38,000 people about their caffeine consumption habits. 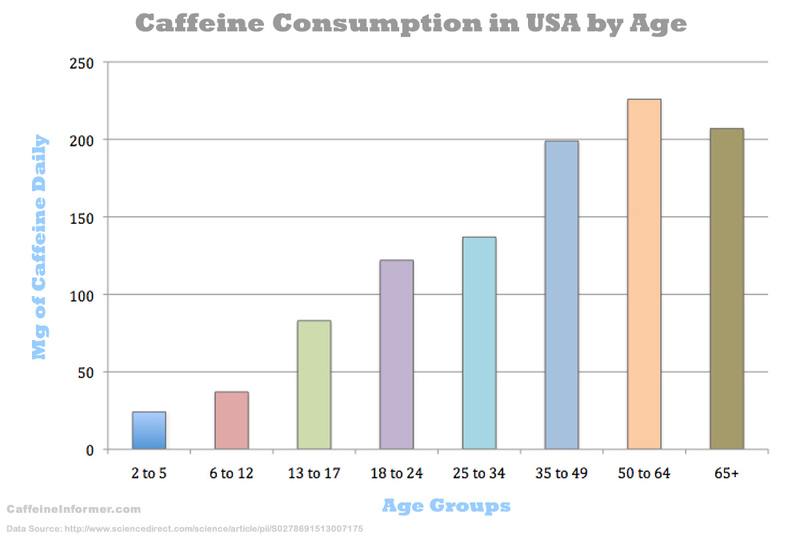 Here’s what their data showed about America’s daily caffeine use. The above study also noted that even though there is a notable increase in caffeinated products, it is unclear whether caffeine consumption is on the increase. They note that there isn’t much research of this nature, which would be needed to establish trends. In any event, the world’s addiction to caffeine shows no signs of easing up especially in the fast paced world in which we live. How does your daily dose of caffeine compare?